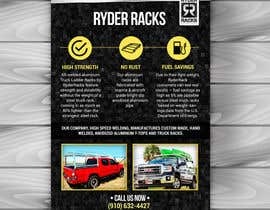 We would like create a flyer to highlight the main features of our truck racks. 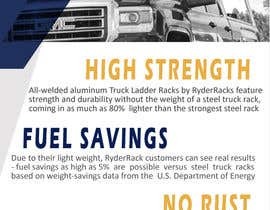 Our company, High Speed Welding, manufactures custom made, hand welded, anodized aluminum T-Tops and truck racks. 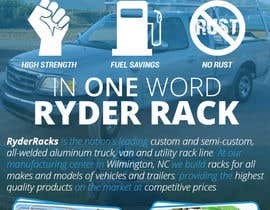 For this project we would just like to focus on our RyderRacks division, which manufactures the truck racks. I have attached a document that lays out a lot of the important information. We will be emailing this flyer to a list of southern coach dealerships. We do not expect all of the information to be included and have highlighted the most important points. Please check my entry #13 . Thanks. 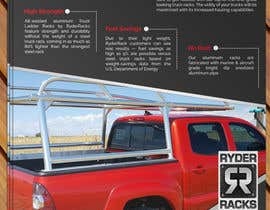 Sir ,will you provide any picture for your truck racks ? There are pictures at the bottom of the document that I attached.